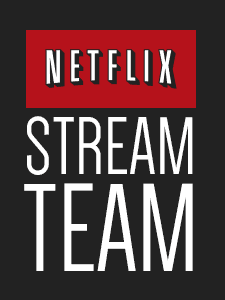 As a member of the Netflix Stream Team I received a one year subscription. and How Full is Your Bucket? Building strong character in kids is essential. Doing it a way that keeps them engaged is fun. I hope you check out some of these shows that promote kindness and books with your little ones! « Don’t Miss Out on the T-Mobile Free Data Plan for your Tablet for LIFE! We have some nice chats about the topic, and we use a lot of Bible studies to help with it too. I guess we just always told our daughter to be kind in our daily routines. Mulan has always been one of our favorite Disney movies – and it does teach great lessons in it. Great movies, we’ve seen most of them. I still haven’t seen Radio but I’m looking forward to watching it tomorrow. I can’t believe I still haven’t seen all of these, there are some great titles here! I’ve heard so much about Glee but never seen it. This is a great list of movies to promote kindness. I need to show some of these to my grandkids. Netflix always has the best things to stream for kids to learn from. Thanks so much for sharing these titles. The more I hear the way children speak to one another while I volunteer at my children’s school, the more I feel kids need an update in kindness. Heck, many adults could use a refresher too.